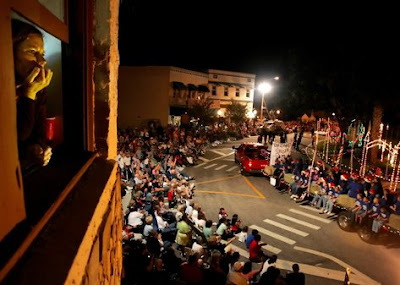 Leslie Brewer, of Sebring, watches the annual Christmas Parade from the Grace Brethren Church room above the Sebring Circle. (Kathy Waters/Highlands Today file photo). The downtown building, which is several miles from the church’s main campus, is used for housing and as an educational base for the Great Commission Bible Institute which the church sponsors. Dr. Randy Smith is pastor of the Sebring, Florida, church.